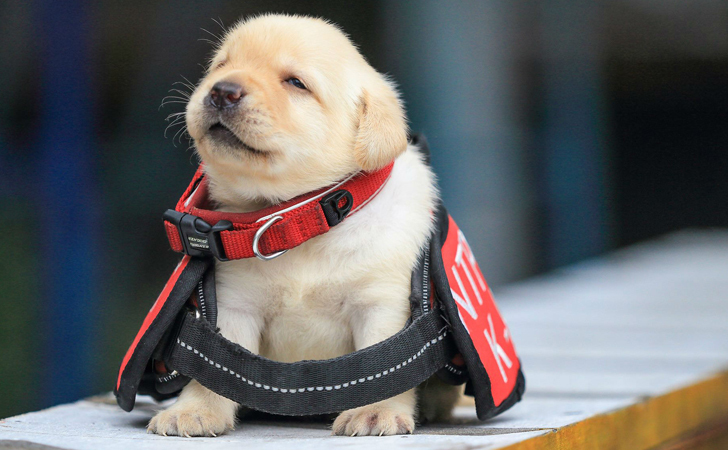 Taiwan’s National Police Agency (NPA), headquartered in Taipei, just appointed six new employees that are cuter than a chubby toddler in an Easter outfit. 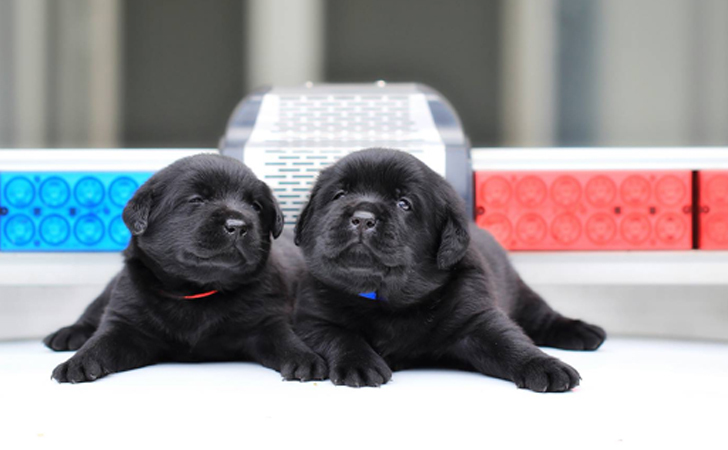 The litter of Labrador puppies are just over a month old, born on May 9, 2017, but they are eager to learn and ready to protect the Republic of China. I mean, don’t their faces look menacing? 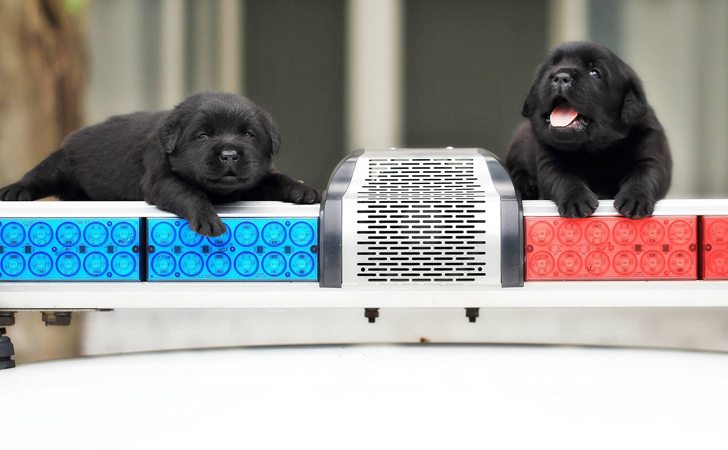 These little rascals will be trained to join the K-9 Anti Bomb and Drug unit, the fifth brigade out of the NPA’s nine active field police squads. They were actually born into this esteemed honor, from parents named Yellow and Leader. Both adult dogs are currently a part of the 22-dog K-9 unit. The names of the puppies are Lucky Star (Fushin), Schumann, Feida, Brother (Yige), AJ, and Full Moon (Liang). 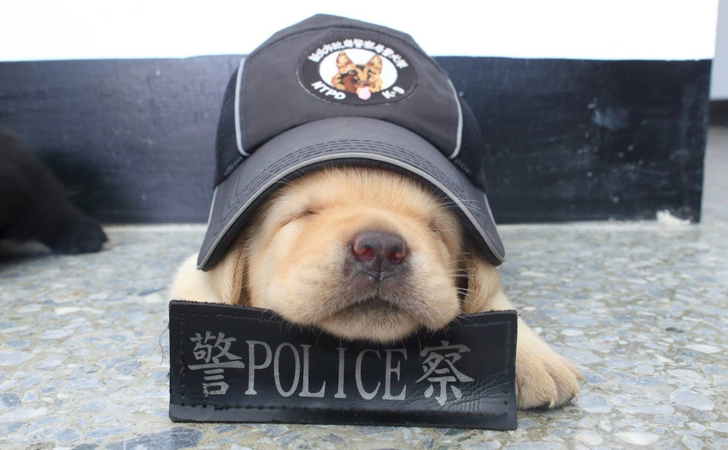 Pan Tian-long, the captain of the K-9 unit, called the pups “very lively,” claiming that Lucky Star was the “naughtiest and bossiest.” He is the only yellow-colored puppy among the black Labradors, and will be trained for blood detection only. He sure is photogenic, isn’t he? So how do the officers even begin to get these spirited young prodigies to learn their duty? One would think getting them to go potty outside would prove to be challenging enough. Well, they meticulously place narcotics next to the puppies right before mealtime to familiarize them with the scent. Pan admitted this band of furry brothers are the first ever recruited by the unit, mentioning that the officers were a little apprehensive, yet excited for their arrival. The staff work as a team, taking turns to care for the puppies and their mother, Yellow, throughout the night. 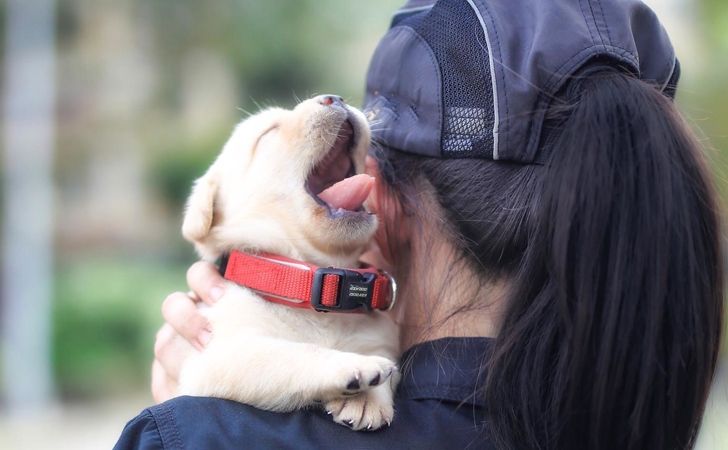 No one on the force expected the overwhelming online response, but they are thrilled at the huge outpour of positive buzz surrounding the snuggly companions. They sure look intimidating to us, wrapped up in bright red harnesses way too big for them. Click NEXT PAGE to continue to read about bomb security in Taiwan!